Be the first to slake your thirst…when you mash, mingle and MIX in midtown Santa Fe this month to kick off the opening of Duel Brewing, the new Belgian-style brewery and tap room in the center of the city. 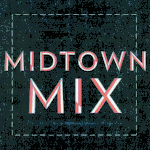 MidTown MIX will offer you a tall drink of midcity Santa Fe and imagine this future arts, entertainment and entrepreneurial district being bulwarked by the Duel Brewing gang and their steampunk saloon salon. Duel is the first new beer producer in Santa Fe in 16 years and it IS about time. Midtown stalwart –and contender for the city’s best chile relleno burrito– Alicia’s Tortilleria will be providing enchiladas at no charge to the hungry MIX masses. DJ Muffintop will be dropping an ounce of funk in every beer and keeping the house in a low-key deep chill to stave off the summer heat. Creative Santa Fe will be demonstrating the future of live/co-work space in Santa Fe. Note: Beers courtesy of MIX and free food are while supplies last—first come, first serve! This is a private party and YOU and YOURS are invited.